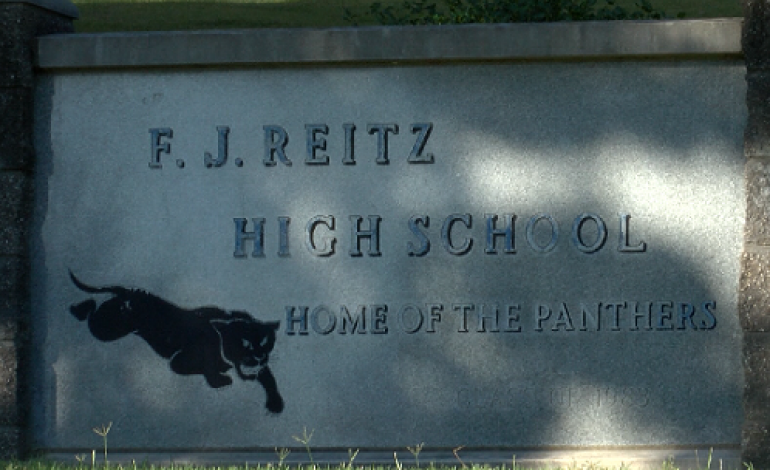 FJ Reitz High School is celebrating 100 year and the public was invited to a celebration commemorating the anniversary. Named after Francis Joseph Reitz, the first day of classes at the West side high school was September 3rd, 1918. “It always has been and always will be the best high school there is,” says Mike Deibler, 1966 FJ Reitz graduate. Hosted by the Big Blue Boosters and EVSC, people came out to celebrate a school that holds history. On September 3rd, 1918, the first class of students walked in and parts of the original structure remain intact. “There is something incredibly strong about walking in the exact same spots, past the same wall and mortar, that those original students did,” says Elizabeth Carnahan, FJ Reitz principle. Alumni as well as current students say it’s the tradition of the school that makes it stand out. “It’s just like one big family class reunion,” says Deibler. Former alumni spoke and photographs over the past 100 years were presented. Current students say that being a part of FJ Reitz history is something special. And even as older generations pass along their memories and new students arrive, one thing remains the same. “We have a responsibility to continue to build good minds and good hearts in the students who come to this institution,” says Carnahan. Faculty say they are looking forward to what the future has in-store for the high school.